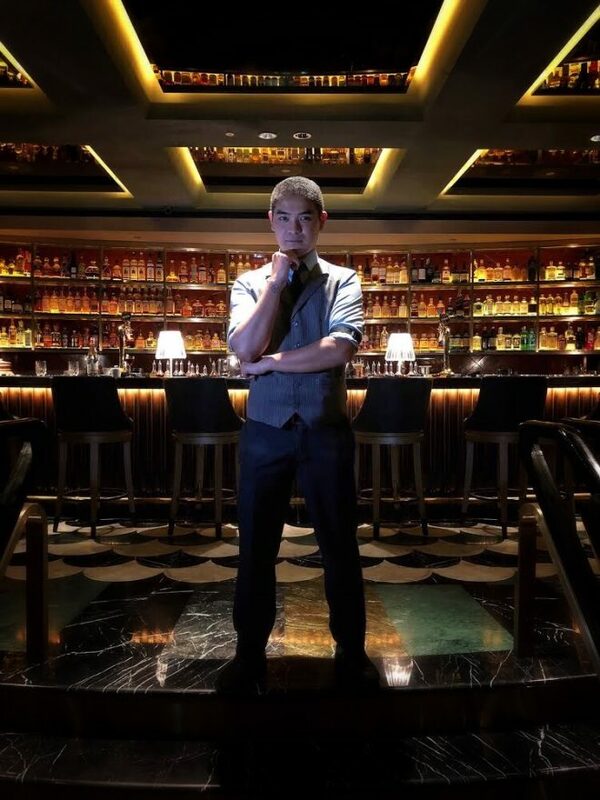 My name is Cedric, I’m 28 years old and I am the head bartender at Manhattan Bar in Singapore. I originally started at the Regent Hotel as a graduate from Manila, working in one of the restaurants here. I wanted to become a sommelier, but the F&B director came to talk to me in 2013 about the opening of Manhattan. It took some time for him to convince me to move to the bar, but I became more and more interested with every book I read about cocktails. I started working on the floor, then became a barback, until I became a bartender here. It’s always been amazing here, but now under the leadership of Philip, he’s moulded us into a real team. We don’t even need to speak to know what each of us is doing or require. The best thing about the team is we love what we do and we love Manhattan so much we’ve all got matching tattoos of the bar logo on our wrists. My dream bar would be a beach bar in Palawan in the Philippines. I’d offer scuba diving in the morning and serve tiki drinks and seafood afterwards. Chilled house music with the amazing views would complete the ambience. I spend my spare time visiting other bars and socialise. I try to go to bars I haven’t been to and meet new bartenders in the city, as there are always new bars opening here and it’s good to see what everyone is doing. Definitely American rye whiskey. Somehow you have to tune it in a drink due to its complexity and I love that. I like to use rye for different drinks and I really enjoy an A la Louisianne and Willett works perfectly for that drink. The most important thing is trying to understand your customer and their taste preferences and making a drink to suit them. At the moment I am using a lot of Amaros, because of their depth. They completely change the flavour profile of any drink. In Asia, go to Singapore and see Jon Lee at Tippling Club or visit Manila and meet David Ong from the Curator. In London, you must go to see Giorgio at the Connaught.